George R.R. Martin might disagree, but writing is not the hardest part about being an author. What we put on the page, especially in early drafts, is really the only thing we authors really have any semblance of control over. While drafting, I’m the captain now. The hardest part for me is the waiting. I’m not a patient person. For a writer, waiting is in the job description. 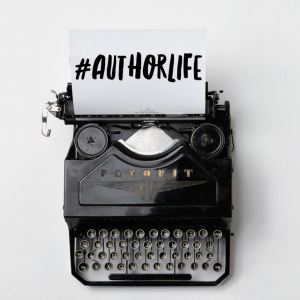 From agent querying onward, we’re constantly waiting for emails that could make or break our day—from manuscript requests to submissions to editorial letters to royalty statements. 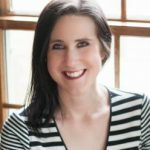 Waiting stinks, but it’s what we writers have signed on for, so we’d better learn to deal with it. Here’s how I, a professional, handle the waiting. This is the ideal. Writing, like I said, is the only part I have control over. Writing is productive. Writing means I’m taking control of my destiny, that no matter what happens, I’ll be ready with a brand spanking new and obviously brilliant manuscript. This happens every time I get a buzz on my watch with a new email. It’s usually just Publisher’s Weekly, full of good news for other people. Because food is my comfort. I get distracted by breaking news. I get one more email. It’s my newsletter service telling me I’ve lost three subscribers. 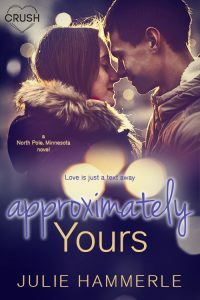 Check out Julie’s newest release, Approximately Yours, out now!